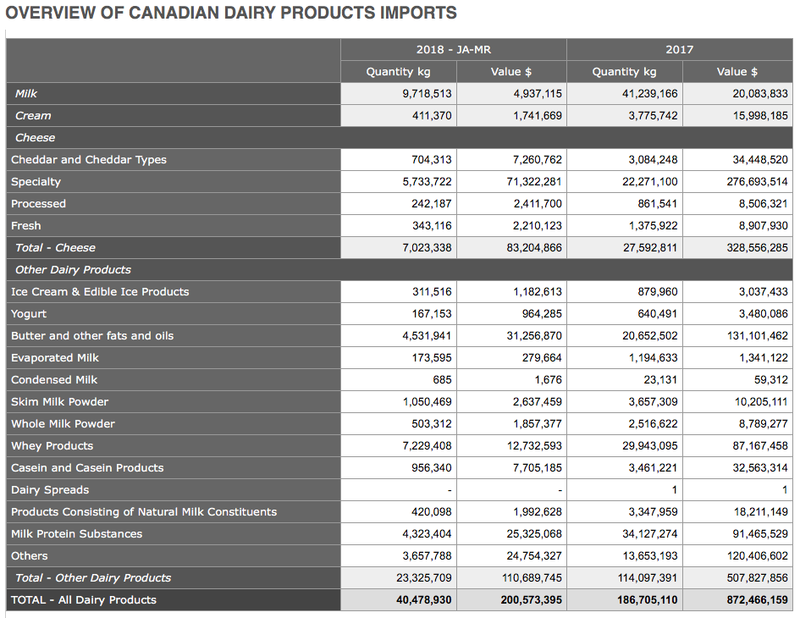 With it appearing that the Trudeau government is about to sign a new NAFTA deal with some changes to the manner in which dairy trade is treated, it looks like Canada's decades-old dairy supply management system is being threatened by American trade policies. 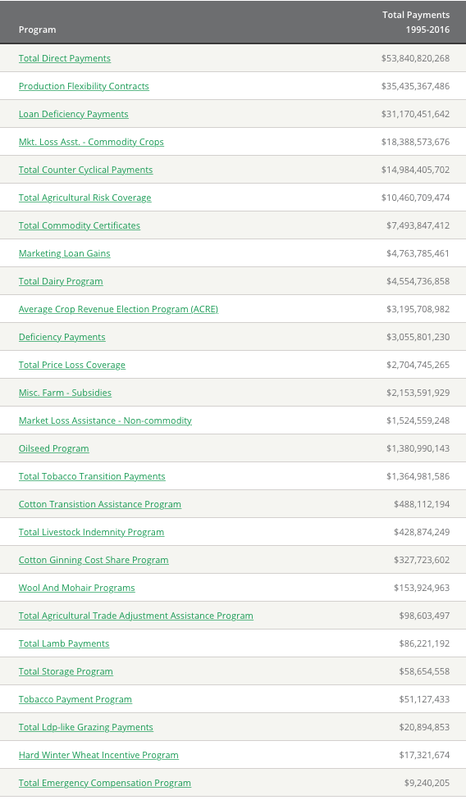 Let's look at a bit of background about supply management and then take a closer look at how the U.S. farm industry is being subsidized by Washington. 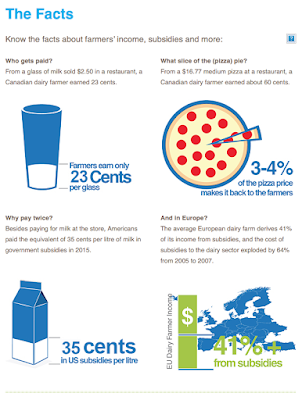 While I don't have specific data on how Washington is subsidizing its dairy industry, I think that you will find the information on overall agricultural subsidies to be food for thought (poor pun, indeed). Supply management is a government-mandated program which was founded in 1971 under the Pierre Elliot Trudeau government. 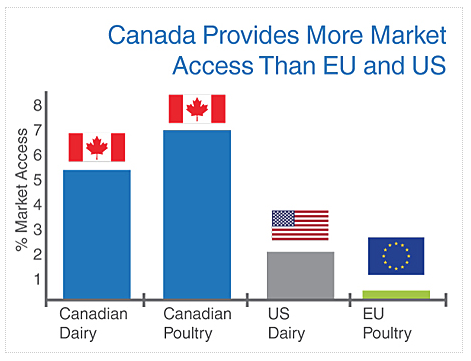 The purpose of this scheme is to control the farming industry in Canada (and other nations) by controlling the supply of commodities, most particularly milk, cheese, eggs and poultry in Canada. Through the imposition of production limits, prices remain higher and governments avoid the costly necessity of directly subsidizing farmers with cash payments. In addition, supply management must entail controls on imports that would otherwise flood the domestic market, pushing prices down and reducing farm incomes. Supply management gets mixed reviews; while farmers are in favour, and tout the fact that Canada's dairy products are of better quality, many consumers feel that they pay higher prices for dairy products than they would under a free-market system. 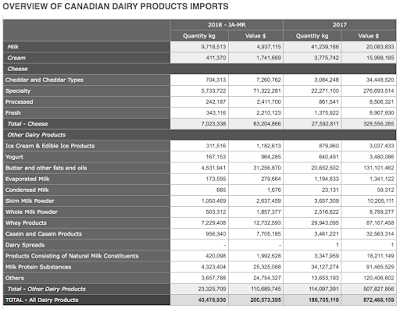 "Canada’s supply management system provides balance in the dairy sector by enabling Canadian dairy farmers to act collectively to negotiate price and adjust milk production to meet consumer demand. While farmers around the world face unexpected and inexplicable wild market fluctuations, Canadian farmers sell their milk at constant and stable prices. 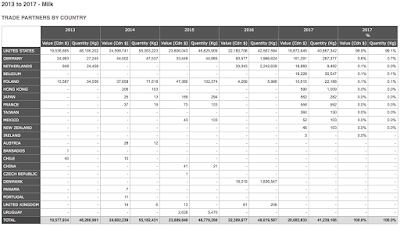 As a result, Canadian dairy farming is one of the few agricultural sectors that are self-sufficient – providing income security for farmers and requiring no government subsidy. This means Canadian farmers can invest in their farms, communities and Canada." 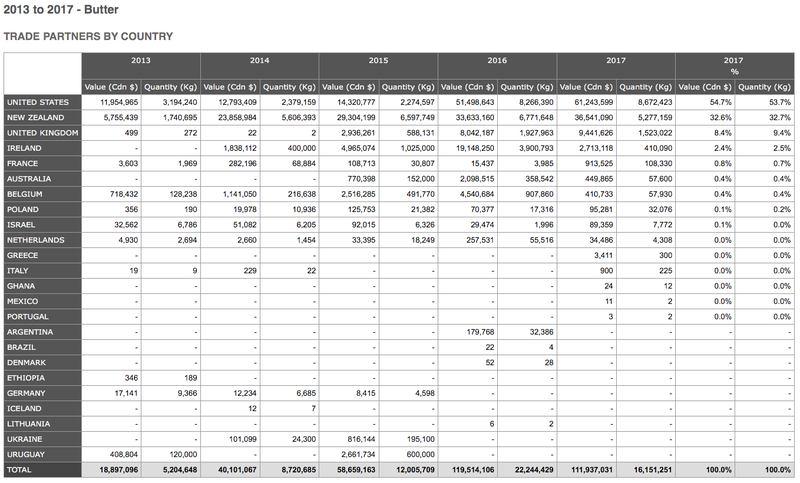 Roughly 8 to 10 percent of Canada's total dairy products are imported tariff-free. As you can see in each case, the United States is the primary source of Canadian imports of these three products. 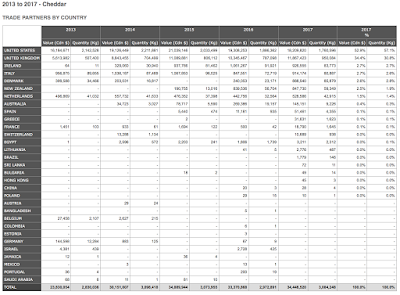 Now, let's completely switch gears and look at how the United States government subsidizes American farmers. Thanks to the Environmental Working Group, we have a complete database of all subsidies provided to American farmers since 1995. In total, 3,916,900 recipients shared in over $353.5 billion in USDA subsidies over the two decade period from 1995 to 2016. 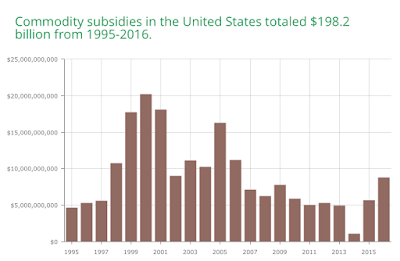 In total, over the two decades, commodity subsidies paid to the farming industry totalled $198.2 billion. 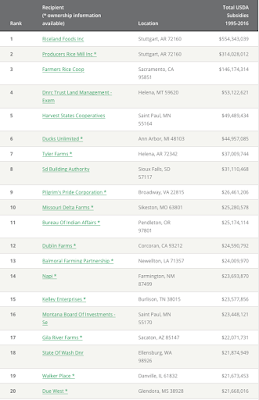 The top 10 percent of commodity payment recipients were paid 77 percent of the $198.2 billion worth of commodity subsidies. As you can see, Iowa, Texas, Illinois and Nebraska accounted for nearly one-third of all commodity subsidy payments. 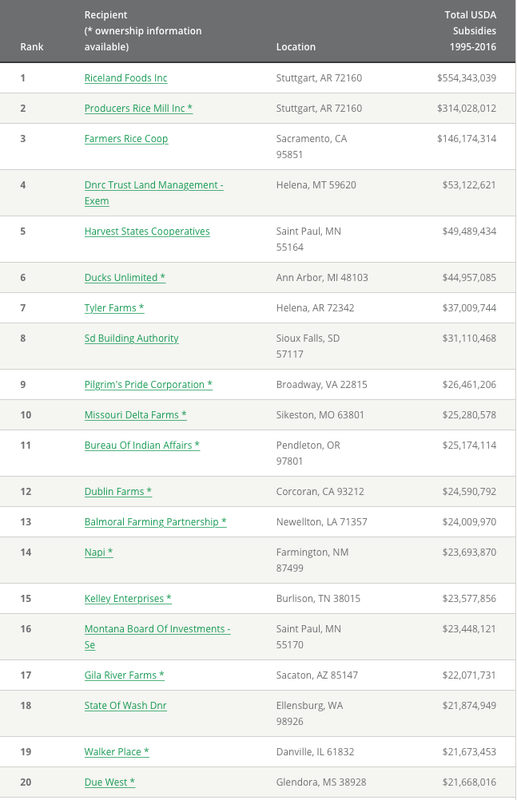 After you've looked through this data, it's pretty hard not to draw the conclusion that both Canada and the United States governments play a heavy role in their respective farming industries through the use of supply management and subsidies. Gone are the days of the small, 100 acre mixed-crop family farm. In the new economic reality, farms have become major industrial operations that rely on government intervention as part of their business model. While the Trump Administration is pointing the finger at Canada's dairy industry, it need look no further than its own farming industry to see that it is clearly a case of the pot calling the kettle black. Thank you for this information. It is amazing how predatory and downright unethical this administration is. Unfortunately if a trade war erupts Canadians will suffer. A reporter summed up Donald Trump: He doesn't fully grasp an issue. He then cherry-picks facts, and goes off on a tangent: repeat, repeat, repeat and never back down. Truth is thrown out the window, and nobody knows what reality is any more. Thanks for the article. Passed on.